Successful content marketing is far from slapping words onto (digital) paper. It requires research, careful planning, ongoing data analysis, constant innovation and reflection. Sounds like you’d need an entire team of experts to get it all done, right? Certainly more hands on deck wouldn’t hurt. But even a small team (or hey, a team of one!) can make an impact. The key is having the proper resources, tools and apps in play that serve as extra sets of digital hands for everything from organizing your time to evaluating competitors to checking for pesky grammatical errors. Not every one of these tools will be right for you, and some have similar functions. But this list captures the best tools and resources out there so you can pick and choose which ones will make your life easier and your content better. Whether it’s creating an editorial calendar, or project managing pieces from strategy to publishing, content marketers have a lot of balls to juggle. You may want to invest in an upgrade version of project management software, but to dip your feet in, these tools will help. Does your mind move 1,000 miles a minute? Evernote is great for people whose current idea of organization is jotting down notes on random pieces of paper. It’s the same concept, but digital, searchable, stored and synced with all your devices so nothing gets lost. Even your handwritten notes are searchable! Are you an independent contractor? Do your company use freelancers? Or maybe you just want to know how much human capital is spent on every project. 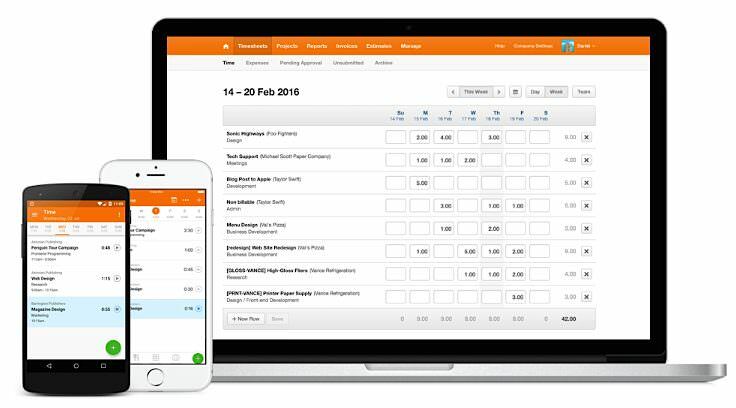 Harvest is a time-tracking tool to help you monitor how you’re spending your day. Slack is a chat tool that allows you to communicate one-on-one or in group channels. It’s excellent for collaborating with a remote team and has tons of small features that keep you on track, like the “remind” function in which Slackbot sends you a friendly notification. Ever run into writer’s block and then find yourself wandering down an Internet wormhole that has you wasting your time? The StayFocusd browser extension limits the amount of time you can spend on certain websites to help you remain on track. Todoist is a task-management app that mimics how you might organize a paper to-do list. The difference is that it’s collaborative and mobile, making it much better than the offline version that inspired it. 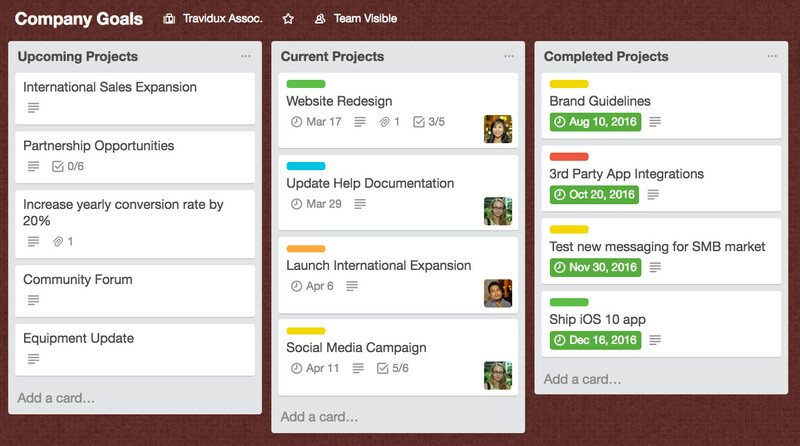 Trello is an excellent project management tool for visual thinkers as you use and move around “cards,” much as you would use sticky notes on a live team board. You can use it to manage projects or create calendars. 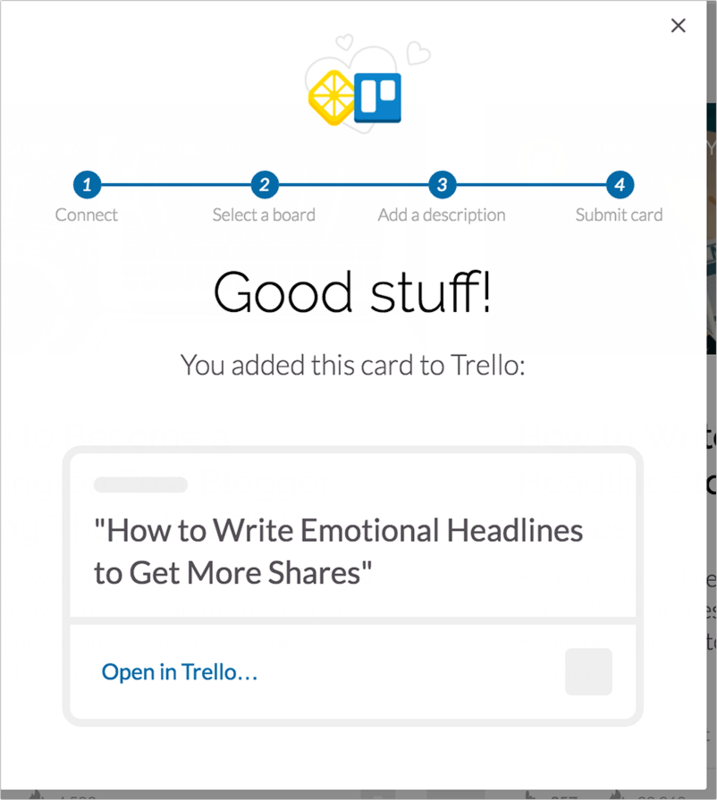 They also have tons of free, real examples of Trello in action to spark your thinking. If you have many useful tools but spend far too much time switching between them, you can create Zaps that automate tasks, like moving any e-mail attachment to Evernote or sending any blog post to your social channels. The possibilities are pretty endless and you don’t need a developer to create workflows. 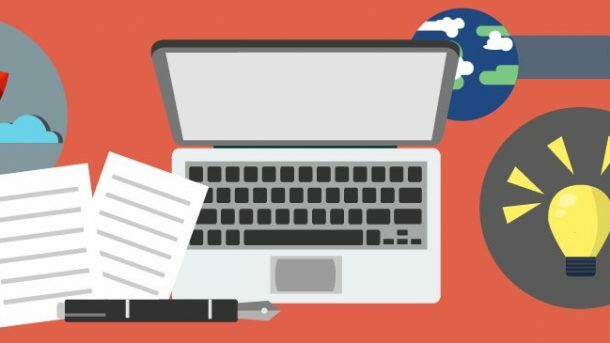 Any great writer will tell you that part of the success of creating great content is not only researching, but also reading quality content and staying on top of trends. Do you know who your audience is? HubSpot’s free buyer persona templates are great tools for organizing your thoughts on who your audience is so that you can better write to their interests, motivations and problems. What are people talking about and searching online right at this very moment? Google Trends will tell you so that you can plan content that revolves around the latest hot topics in your space. Pocket offers an app and browser extension that allows you to save articles or web pages all in one place – and it’s readable offline. It’s great for reducing the amount of “but I wanted to read that later” windows you have open and warehousing research. Quora is a question-and-answer site that you probably see pop up all the time in random Google searches. Use it to see which questions people are asking about your brand or industry so that you can write in-depth answers in the form of blog posts. Reddit is where viral content begins. Posts are voted up or down by a community of users. Find Reddit threads that match your industry or topics, and use them to see what people are talking about, which headlines are inspiring clicks, and to participate and share your own insights. Some writers thrive on pressure while others need zero distractions to churn out the right words. For the latter, Calmly Writer provides a clean, white interface on which to write, edit, save and print. For those who identified with thriving on pressure in the above resource, this app is for you. You set an interval: three, five, ten or twenty seconds. If you stop writing for that amount of time, the app deletes everything you’ve written up to that point. Cue music: Under Pressure…. The right headline can make or break your content’s virality, just as a subject line can drastically affect open rates. 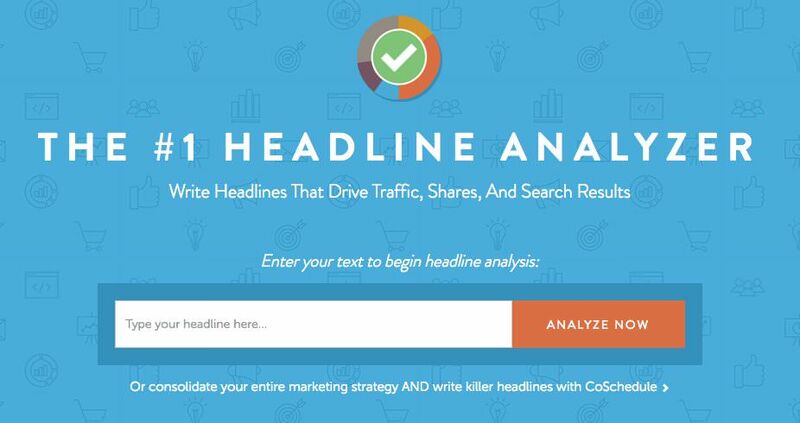 This Headline Analyzer uses data from CoScheduler’s paid clients to estimate how well your headline will perform and offer improvements. Sometimes simple is best. Google Docs is a tool that most people know how to use, which makes it easy to implement. For content marketers, it’s great for having multiple people collaborate on a single document or for creating content calendar spreadsheets. Grammarly’s Chrome plug-in is the smarter version of SpellCheck. It catches more than your typical typos and reviews wherever you’re writing, whether that’s a blog or a social channel post. For those who’ve used the Yoast (see our SEO section) plug-in for WordPress, you are familiar with its readability score. 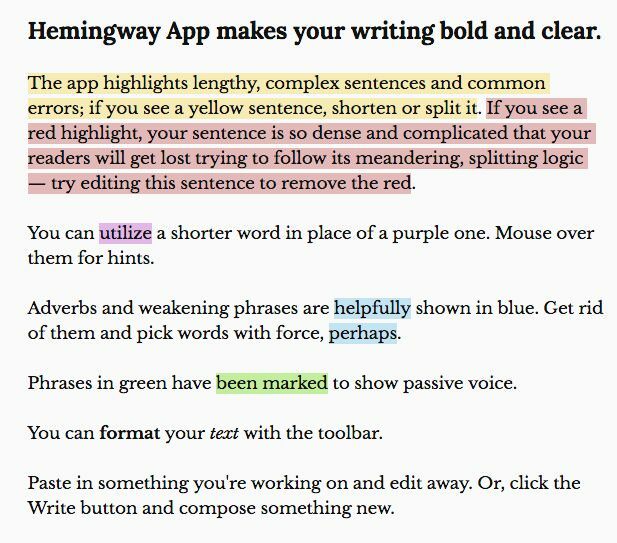 Hemingway offers something similar: you plug in your content and beyond just grammatical errors, it check for passive voice, opportunities to simplify, overuse of adverbs, and so on. Interview-type content doesn’t need to be a painful process of typing out transcriptions while toggling back to a media player. It eliminates the need to divert from the page to the recording to pause, rewind, and so on. Podcasts are great, but for better SEO, including a transcript is highly recommended. This tool isn’t going to do the work for you, but it can help you overcome writer’s block. Put in three nouns and the generator will spit out a few relevant headlines using those words. Sometimes the results are a little silly, but they’ll definitely get your creative juices flowing. Don’t actually have a blog? Don’t worry. Anyone can publish on Medium. And while it’s certainly helpful to have your own powerful website, what matters most is how much your content is shared, not where it’s published. This tool is designed for people who are using Google AdWords, but it can also be used to plan content. Research which keywords are most relevant to your brand and will therefore get you the most organic traffic. Moz is one of the top SEO tools in the business. They have more powerful paid tools, but for free you can research two keywords per day in their keyword explorer. You can analyze the competition for the best keyword or phrase, plus get related suggestions. Also from Moz (for three free searches per day) you can analyze one of your URLs to find how where it’s ranking in the the SERPs as well as who is linking to it. If you don’t have an SEO plug-in on your blog, it can be hard to determine just how a page will show up in the search engine results pages. Using this tool, you can see how your title, link and meta description will look and decide on any improvements. Yoast is the top SEO plug-in for WordPress. The free version will help you evaluate your content to ensure that you’re optimizing for SEO. The advanced version also helps with redirects and customized social share copy. Content with great images is shared more than content without. In fact, blog posts that include images tend to get 94% more views, press releases that include images or video get 45$ more views, and 60% of people are more likely to visit a business’ website when an image appears in the SERPs. If you’re not a designer, these tools will help you add a little color to your content. Video outperforms imagery on nearly every social channel. Using Biteable, you can create awesome animated videos without any prior knowledge of video production or design. Canva makes it easy to create images for blog graphics, social media images, infographics, posters and much more even for the less-than-creatively inclined. With templates and graphics, you can build off of other people’s work. There is a useful free option, though a paid upgrade gets you more templates and a few other helpful features. Easel.ly is similar to Canva in that it makes design easier for non-designers. 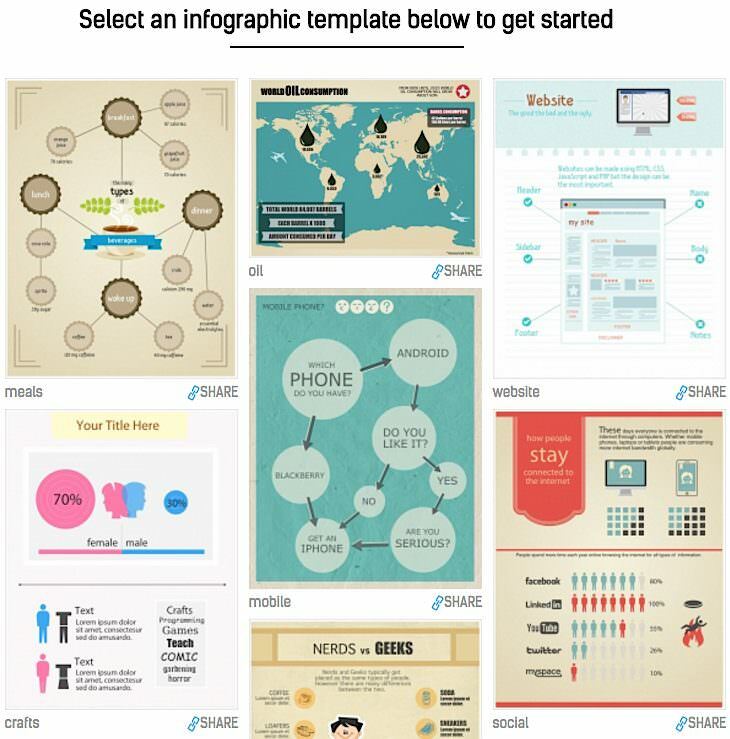 But Easel.ly is focused on infographics, making it a great tool for creating shareable data visualizations. GIFs are sometimes just the thing you need to add to the punchline of a humorous piece of content. Giphy is endlessly searchable, and allows you to pull GIFs from videos or add text to GIFs for further customization. 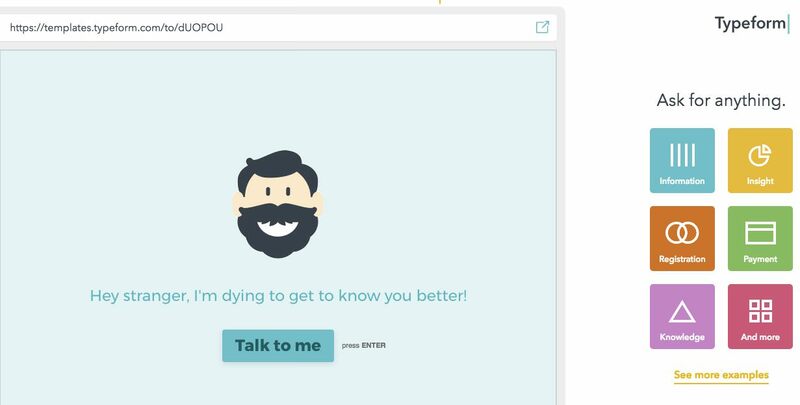 Pablo is similar to Canva, but with a social-specific twist. If you’re a user of Buffer for social media scheduling, Pablo is a nice tie-in (created by the same team). Placeit makes it easy to create mock-ups of your product on smartphones, computers, TVs and more. Use it to showcase your product “in the wild” as it was meant to be seen and used. Want to show user experience images of your product or point out particular features? With Skitch, you can take screenshots and add annotations like text, blur and circles. It’s a product of Evernote, another tool we love. 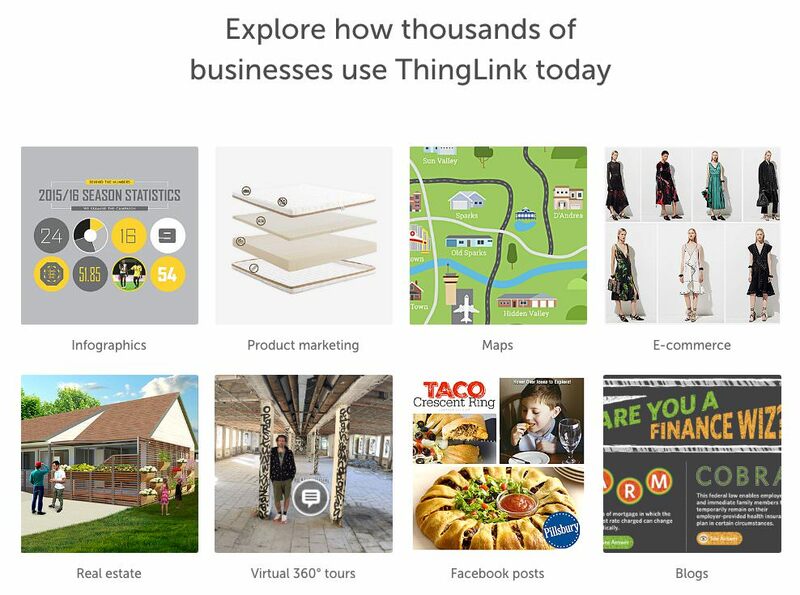 Use ThingLink to add clickable links to images or even expandable pop-out boxes that allow you to add further value and information. Tired of boring or strange stock photos? Unsplash is a resource of free-use, beautiful photography provided by talented photographers. It’s a great alternative for finding imagery. 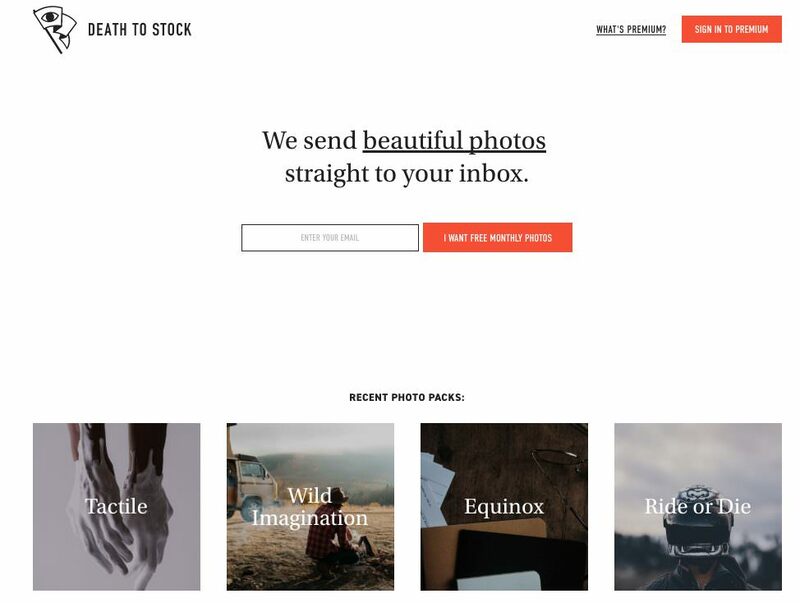 Death to Stock is another great alternative for more gorgeous, natural, free-use images. This is a subscription-based service that sends a diverse selection of high-quality images to you every month for commercial use, blog posts, social media accounts and mockups. A key to successful content marketing is promotion, which means consistent posting on social channels. That’s easier said than done, but these tools offer support. Buffer is a tool that allows you to schedule posts in advance and choose accounts to post to simultaneously. 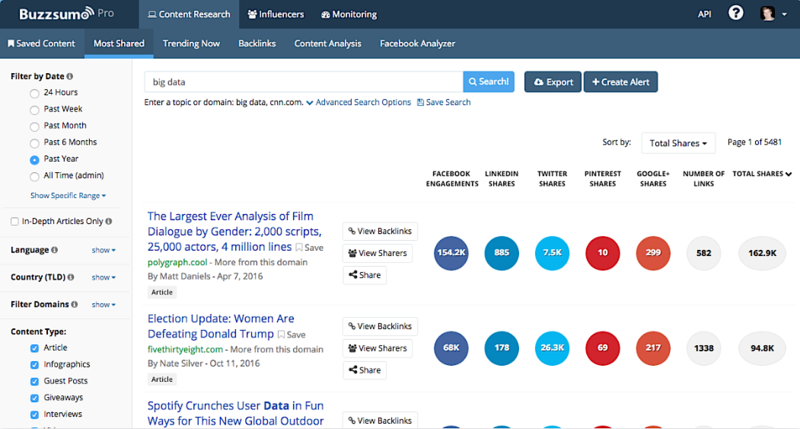 Type in a keyword to Buzzsumo and find out what related content has been the most socially viral in the past week, month, six months or year. 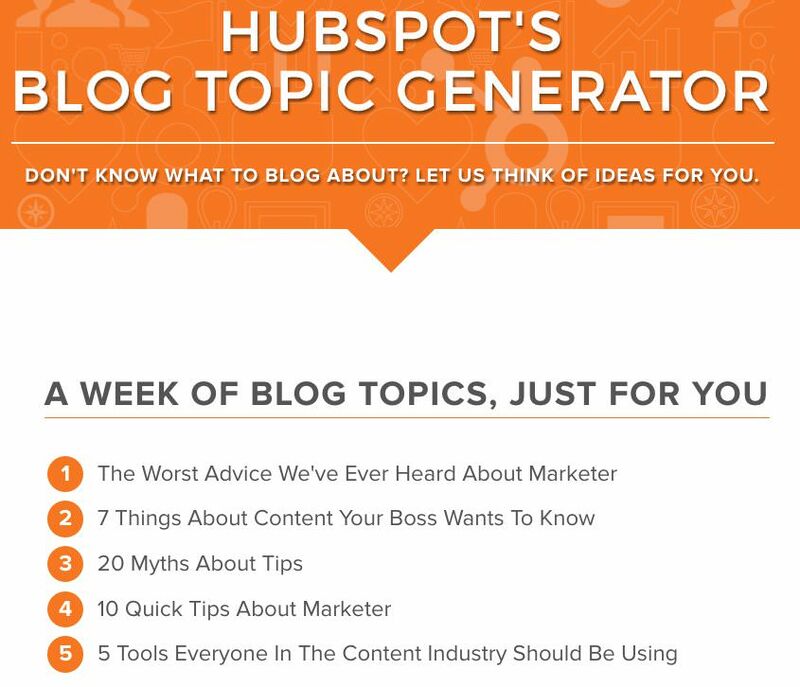 You can use this to spark content ideas or to find great content to mix in with your own on social channels. Hootsuite is similar to Buffer. You can also track mentions of your brand on social channels to help manage your reputation, and dig deeper into analytics all in one place versus visiting every channel’s data page. Have you ever looked at someone’s Instagram feed and thought, man, whose life looks like that? Yours can with SelfMade. They’ll edit your photos for you by replacing backgrounds, removing clutter, and brightening them so your pictures look perfect every time. Every audience has times of increased or decreased activity online. Tweriod analyzes your Twitter posts to determine the optimal posting times for increasing engagement. Contextly is useful for a few things. As far as measuring success goes, it will track and analyze which of your posts are most trafficked, scroll percentage, and so on. You can aso use it to reduce bounce rates by adding related content links on your pages to keep your visitors reading. Google Analytics makes it possible to track a multitude of site data points, including overall traffic, traffic source, landing page behavior, and more. You can dive in at the level you’re most comfortable with and continuously learn more. One of the biggest mistakes marketers make is to assume that users will behave just as the marketer behaves. We have our own biases when it comes to the brand we work for and the content we create. 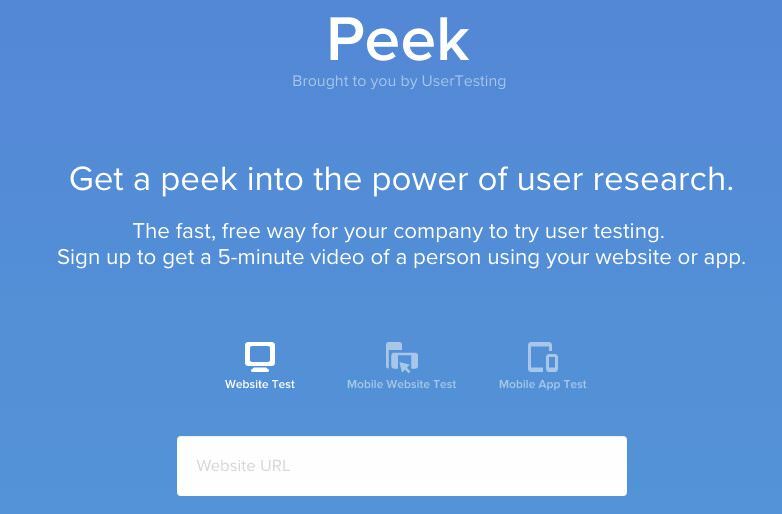 With Peek, you can watch real users test your site to see, for example, if next steps or calls to action are easy to find. With this tool, you measure engagement with your content, including traffic, sharing, and resulting conversions. Priceonomics’ free Content Handbook is also worth a read for some pretty stellar insights into what makes content spread. Create seriously beautiful surveys for free with this tool. You can use the surveys to get qualitative insights from your audience about the current state of your content marketing and what they’d like to see more or less of. These tools are some of the top performers that are most trusted by successful content marketers. Obviously there are more resources out there and new innovations are constantly being launched. But these free or nearly-free versions make it easy to test what works best for your specific needs and make changes where necessary.